The TotalPond 950 GPH Pump with UV Clarifier pumps up to 950 GPH and has a maximum lift of 12 ft. which can be adjusted with our easy to use flow control adaptor. 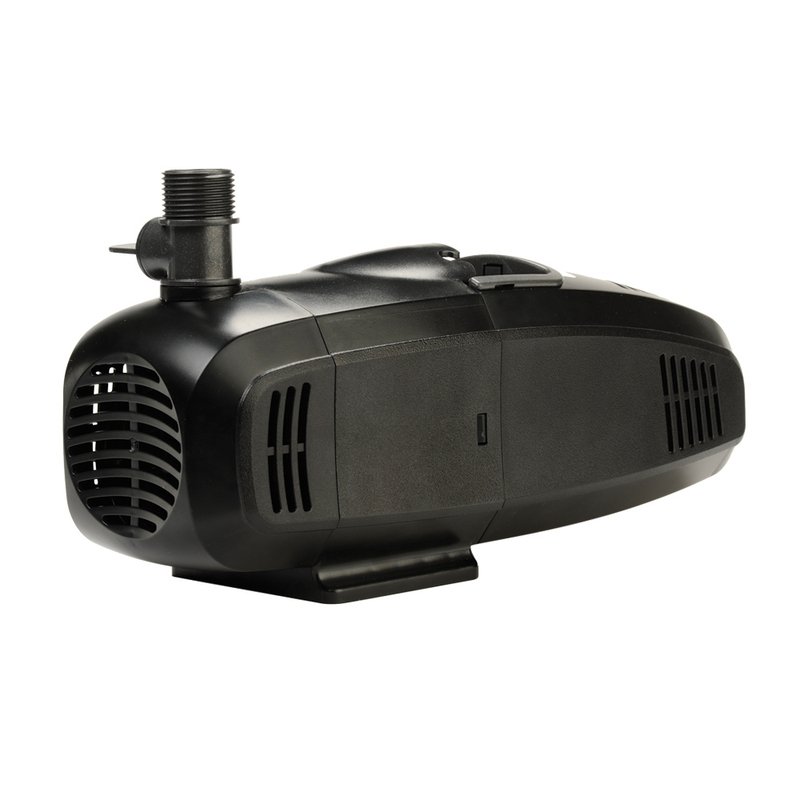 This pump is also equipped with an integrated UV clarifier that cleans the water as it moves through the pump. If you're looking to run a small waterfall in your pond or water garden, then we recommend the TotalPond 950 GPH Pump with UV Clarifier. This quiet, energy efficient model can pump up to 950 gallons per hour, but also has a maximum lift of 12 ft. which can be adjusted with our easy to use flow control. The added bonus is that this pump is equipped with an integrated UV clarifier that cleans the water as it moves through the pump. This effectively minimizes algae growth in your pond and prevents murky green water from becoming an issue. Included with this pump is a mesh barrier bag, which prevents small debris from clogging the motor. The 950 GPH Pond Pump with UV Clarifier is ideal for medium waterfalls up to 8 ft. tall. With a maximum pumping height of 12 ft., this energy-efficient pump helps power a waterfall.